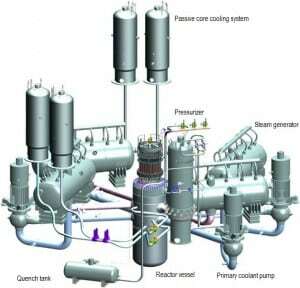 Nuclear reactor and primary coolant system of WWER-1200. 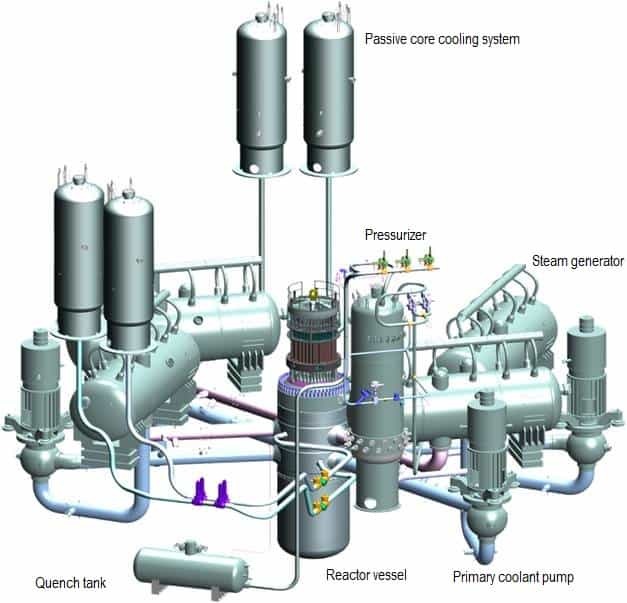 In general, a reactor startup after refueling is a startup from a cold condition, since refueling requires the Reactor Coolant System (RCS) to be cooled down and depressurized. 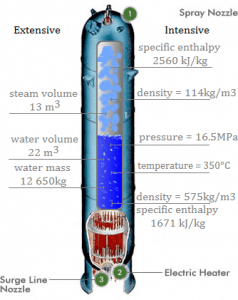 The initial conditions are: the NSSS – Nuclear Steam Supply System is in the “cold shutdown” mode, that means Tavg = 30°C, pressure = near atmospheric, boron concentration is sufficient to yield 10% shutdown margin and RCPs – Reactor Coolant Pumps are off. 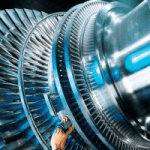 Prior to each point of procedure above, compliance with the plant Technical Specifications must be verified. 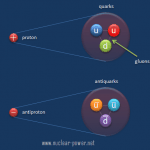 The NSSS heatup from Cold Shutdown (MODE 5) to Hot Standby (MODE 3) is performed by reactor coolant pumps which are very powerful (they can consume up to 6 MW each) and therefore its work together with a decay heat can be used for heating the primary coolant before a reactor startup. To operate the reactor coolant pumps, reactor coolant system pressure must be increased to satisfy net positive suction head requirements. 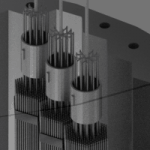 Reactor coolant pumps are started sequentially. 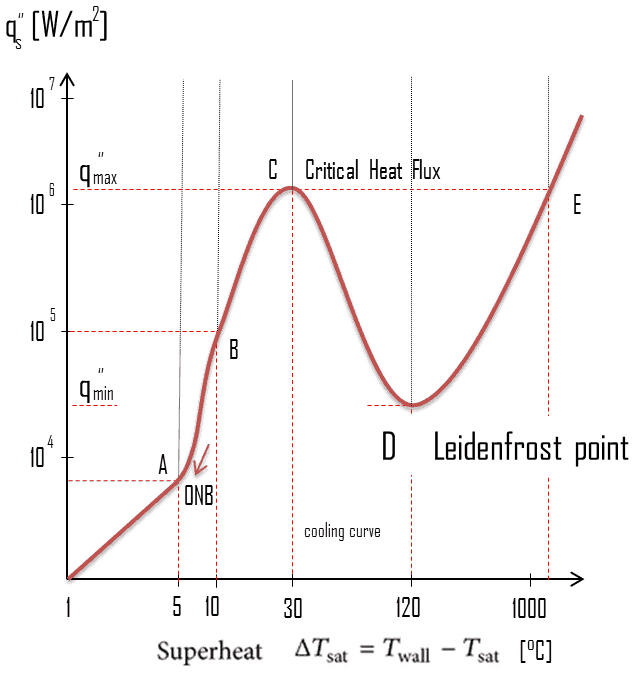 Primary plant heatup rate is limited to about 30°C per hour in order to minimize internal stress in the material of the pressure vessel, primary piping and other components. The RCPs are used due to the fact a pressurized water reactor may have a positive moderator temperature coefficient at low temperatures. An operation (reactor criticality) with a positive moderator temperature coefficient, which is caused by the amount the soluble boron in the moderator (see: MTC), is prohibited. Therefore the heatup by chain fission reaction is prohibited. The plant is brought to near operating temperatures (e.g. Tin ~ 275°C) with reactor coolant pump heat before the reactor is made critical. Heat exchangers of the residual heat removal system are bypassed to allow heatup. 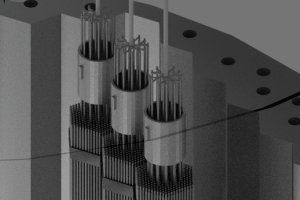 Since the coolant volume increases (due to thermal expansion) during its heatup, its excess must be removed from the reactor coolant system. Extensive and intensive properties of medium in the pressurizer. 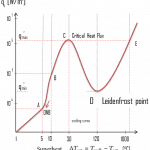 Pressure in the pressurizer is controlled by varying the temperature of the coolant in the pressurizer. For these purposes two systems are installed. Water spray system and electrical heaters system. The submerged electrical heaters are designed to increase the pressure by evaporation the water in the vessel and to heatup pressurizer. Water pressure in a closed system tracks water temperature directly; as the temperature goes up, pressure goes up. When the reactor coolant temperature and pressure reaches the target value (e.g. 275°C and 16 MPa), then the RCS heatup is finished. 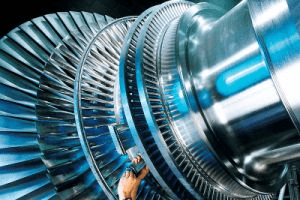 The temperature of the coolant is then maintained through the balanced use of reactor coolant pump heat input and a steam dump system which releases steam to the main condenser. The next step in the startup of the plant is to take the reactor critical.